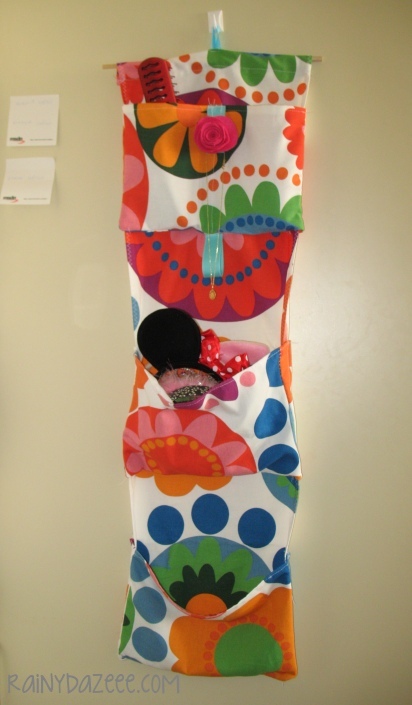 DIY fabric wall organizer – this is what I made after playing with the sewing machine! 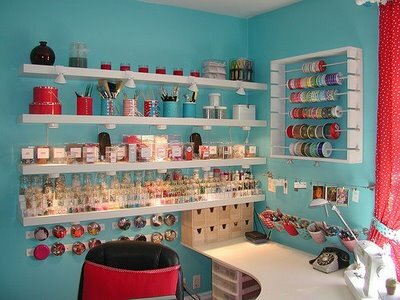 September 19th, 2012Craft room, I want! I have been crafting lately whenever time permits me coz there’s a self deadline I’ve imposed on myself. Of course, I’m way behind but it’s okay. Nothing really important, I just want to set a goal or else my craft supplies will rot. teehee! Speaking of craft supplies, they’ve invaded our dining table for days already! Its unrecognizable with all the heaps of felt sheets lying on it, and rolls of ribbons, glue sticks. This is always the scene when I’m at work. Whenever we eat, I have to stash them away then later take them out again; it’s annoying! 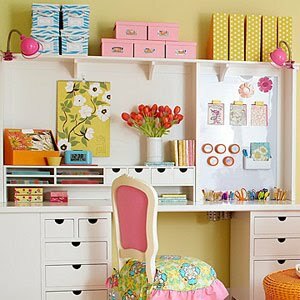 I really wish for a personal space, a craft room where I can work without having to share work table with anyone else and where I can organize all my materials, away from the prying little kids. If only we have the freedom to renovate this flat we’re currently living. 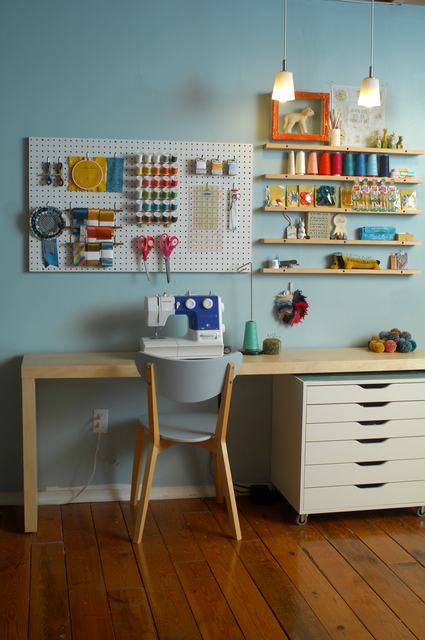 It actually has possible spaces which can be utilized for an extra working nook. 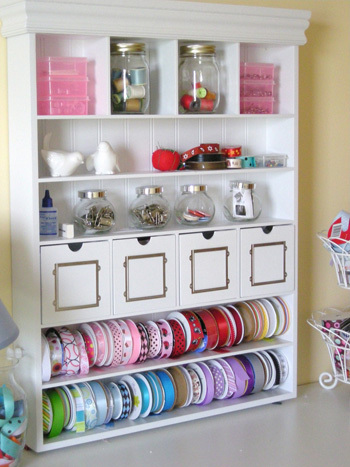 Here are some ways how to organize craft stuff which I’ve rounded up via google. You see, these are only small corners which could work well in small spaces. The photos are not mine. 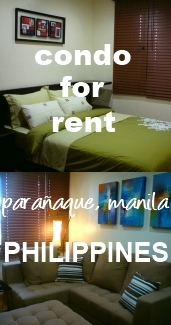 All taken from google. Oh so pretty! If I have a place like that, I will definitely be more inspired to work. I was flipping through a brochure of a home store yesterday when I spotted a green carpet. M and I have talked about buying one for the balcony floor where the kids have their extended play area. Right now it’s just partly covered with a small piece of an old carpet and a rubber puzzle which covers only a small portion of the area. It would be nice to cover the entire floor or at least most of it so the kids will have a bigger space to play on. Unfortunately, the one I saw was expensive. We really haven’t looked around different stores for this plan but usually there are stores that offer discounts or cheap carpets, discount laminate flooring and other home stuff. I guess we have to add it to our to-do-list so we don’t forget! Who’s Candice? She’s my favorite interior designer based in Canada which I got to know from her TV show, “Divine Design” wherein she does makeover of homes. She really has the talent to turn boring, ugly and dated spaces into magical, modern and elegant interiors! It’s like everything she touches, turns into one great work of art! You should see the faces of her clients during the “magic reveal” portion of the show. They’re in awe! They usually say “I can’t believe this is the same space!”. And I agree. How she incorporates textures, fabrics, colors, state of the art technology, function, etc. etc. in her design is what makes her rock. You should catch her on TV or better yet, search for Candice Olson in Youtube.Though she sometimes uses her own designed products, I still wonder where she gets her super-duper elegant fixtures and furnishings. Does she also go hunting for wholesale hot tub covers or skips it and goes to stores selling high-end stuff? I’ve seen some episode where the clients have limited budget and yet Candice can still deliver great designs. And for that I call her a genius.